Miguel de Cervantes Saavedra is universally known as Don Quixote's creator and though everybody knows what the story is about, not many have read the novel. This is because it is a huge book and if it is not adapted to a modern Spanish or if there aren't any notes from a specialist in Spanish language, it is hard to understand and follow the plot. Luckily for us, most of the Don Quixotes are adapted to a more friendly language as most of Cervante's novels and plays. But even so, for Spanish students, it is a challenge to start reading any of the Cervante's work because it is old, it seems outdated and probably it has nothing to do with their objectives as students. 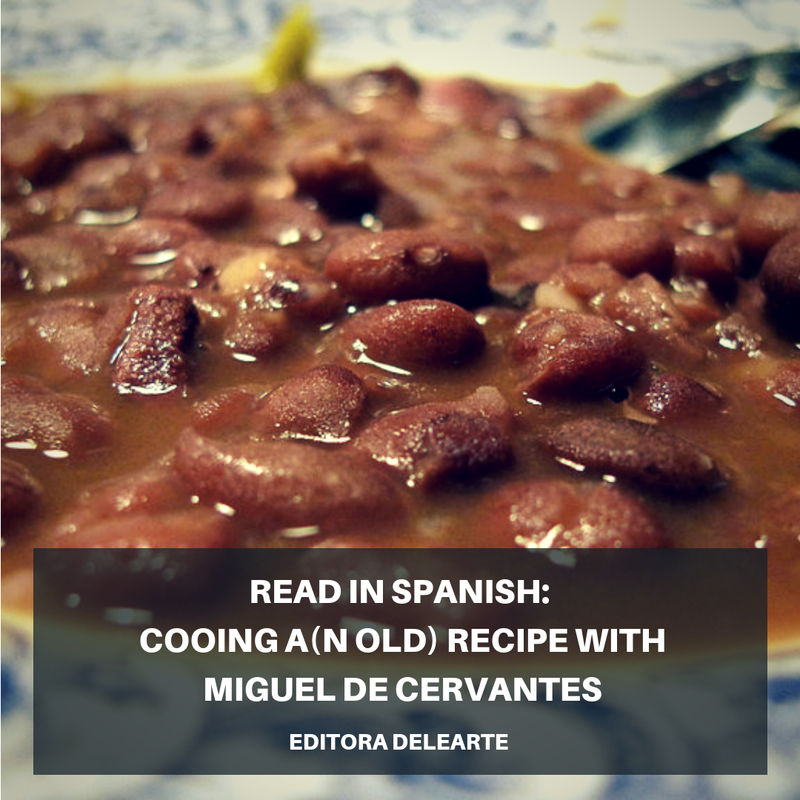 Nevertheless, it is very interesting to dig a little bit in his work and learn some XVII century recipes and try them at home. Here we show you one. Most of Cervante's work was done in the XVII century and the writer himself lived a very adventurous life which he reflects in all of his works. He mentions places, dishes, and customs from a distant past first hand and you can have a taste of a long gone time. "Olla podrida" is one of them. "Aquel platonazo que está más adelante vahando me parece que es olla podrida, que, por la diversidad de cosas que en las tales ollas podridas hay, no podré dejar de topar con alguna que me sea de gusto y provecho"
250 gramos de porotos rojos hidratados. 1 kilogramo de costillas de cerdo. 250 gramos de carne de vaca. Sal y pimiento a gusto. En una olla de barro, cocer todo hasta estar tierno.